The main reason that I hit the ground running in the morning is my breakfast passion. If only I could make a delectable breakfast spread every morning – but hitting the snooze button for 45 minutes before work keeps that from happening. However, this breakfast recipe can be pulled together in under 15 minutes. Try out this Breakfast Tostada recipe for your next breakfast endeavor! 1. Drizzle half of the olive oil into a small skillet, add garlic, onion, and jalapeño. Season with salt & pepper to taste. Let cook for 3- 5 minutes, or until onions become carmelized. 2. Set the oven to broil, then place the tortilla directly on the oven rack. Let cook for about 5 minutes total – 2 minutes per side – until tortilla is golden brown. 3. Drizzle the rest of the olive oil into a small skillet over medium heat, then crack the egg into the skillet. Let the eggs cook until white & yolk are set – about 5 minutes. 4.Evenly spread guacamole on the toasted tortilla. 5. Top the tortilla with the fried egg and sautéed veggies & get ready to dig in! 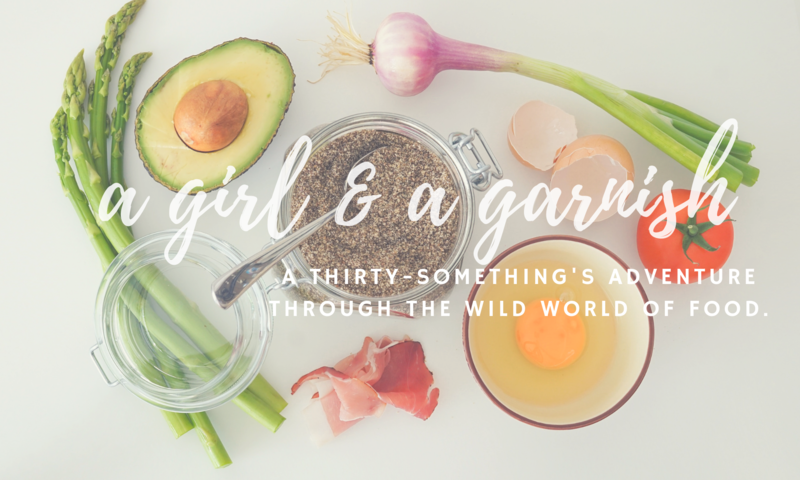 Next PostNext A Girl & A Garnish Turns 1!